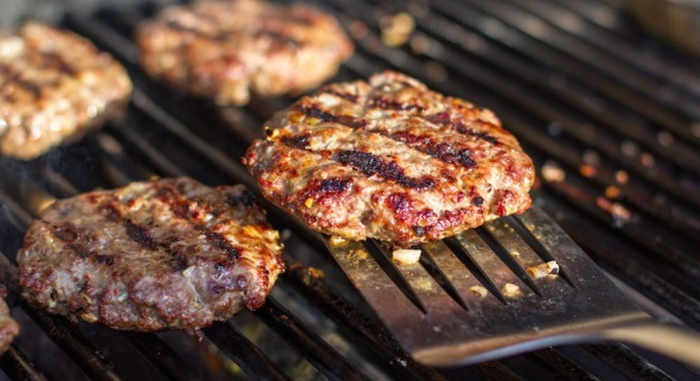 While you can always buy ground meat in the grocery, you are not really sure how it was prepared. If the facilities are unsanitary, food contamination is always a possibility. Furthermore, you are not in control of the additives and preservatives (if any) that go into these raw foods. 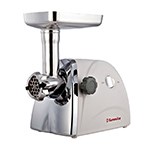 For safety and health reasons, you can buy the best meat grinder that you can afford so as to prepare your food. 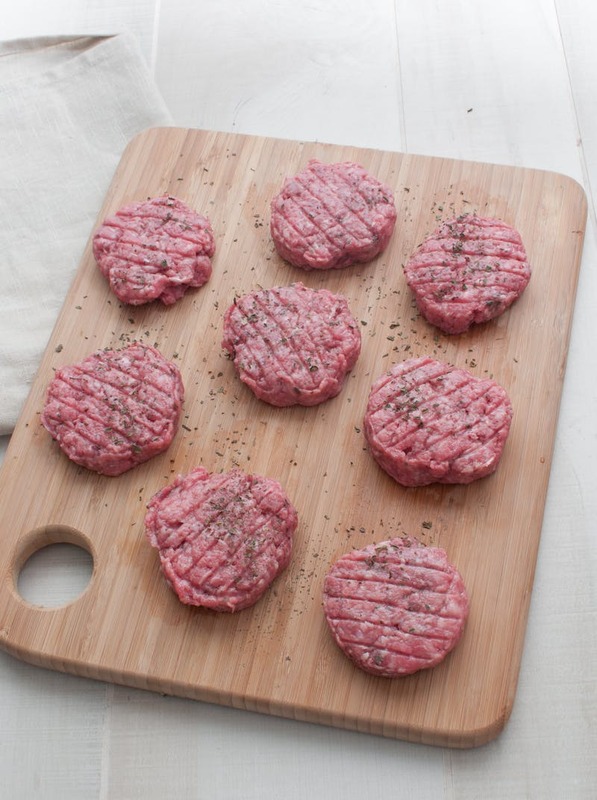 This way, you can ensure the quality of the meat that you use in your daily recipes and even customize the texture of ground meat according to your needs. Which is the Best Meat Grinder for You? 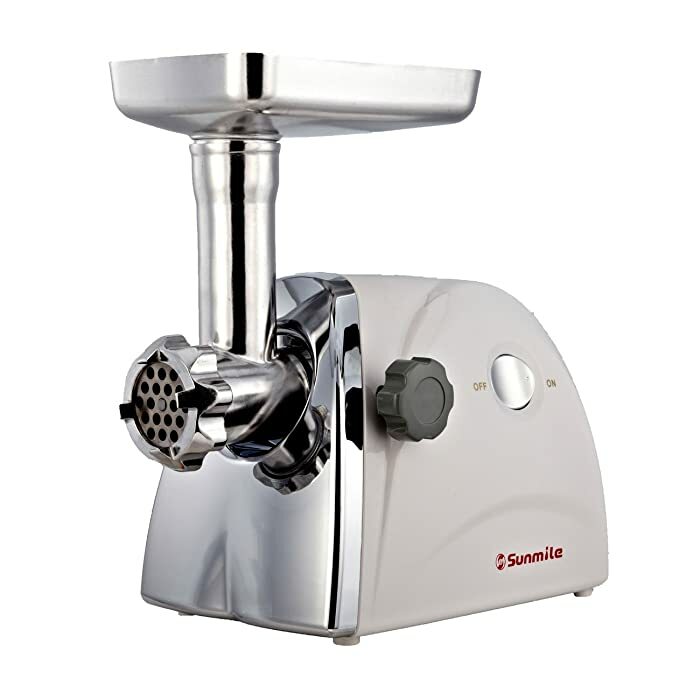 Basically, there are 3 types of meat grinder – manual, electric and mixer attachment. Each type has its own use – so, understanding their features will help you decide which type is the best meat grinder for the money. Electric meat grinders are quite expensive because their technical features allow for fast and customizable meat preparations. 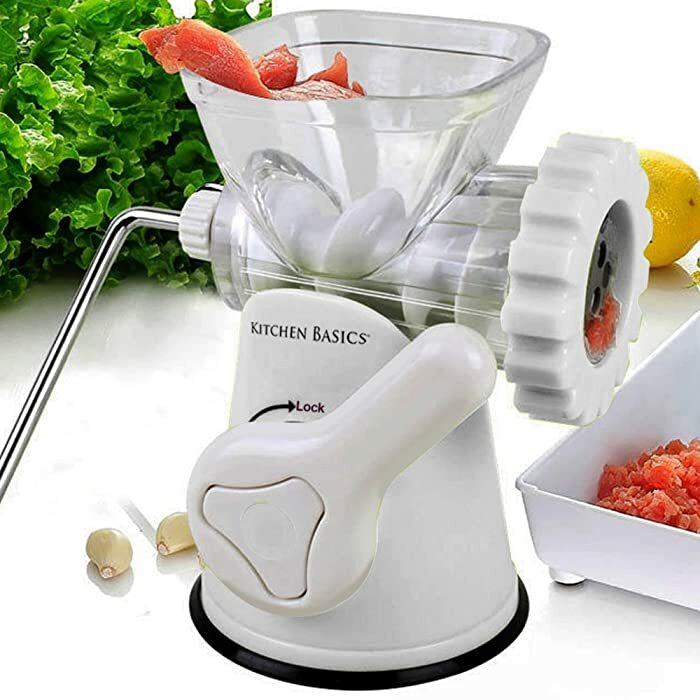 If you’re regularly grinding large quantities of meat, this type of grinder would be the most practical choice for you. Electric units come with a lot of attachments and features. Aside from allowing you to control the size and texture of ground meat, most models also come with sausage stuffing options. There are also electric meat grinders that function as pasta makers as well. As you can see, an electric meat grinder can be considered as a multifunctional kitchen appliance. Just plug it in and you can start grinding large quantities of meat quickly. If you are a hunter, you can prepare fresh meat easily with such type of grinder. Your homemade jerkies, patties, sausages and other recipes can then be prepared and stored perfectly. Manual meat grinders are operated by hand and you don’t need electricity to make them work. The design involves rotating a handle – which will allow the unit to grind meat (and other ingredients like vegetables) effectively. As you can already tell, this involves a slow process. With a simple design, manual meat grinders are very cheap when compared to electric meat grinders. But, yes, they do work. Because of the slow process, however, it can take a while to process raw meats. You can settle for this type of grinder if you only intend to grind small batches of meat at a time. If you already have a stand mixer, you have the option of just getting a meat grinder attachment that’s compatible with the unit you have on hand. 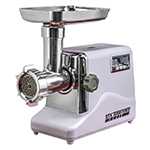 As an accessory, you won’t need to spend a lot of money with this type of meat grinder. Getting a meat grinder attachment will be like getting a full-featured electric grinder. You see, this accessory doesn’t need its own motor to operate since it’s only an attachment. 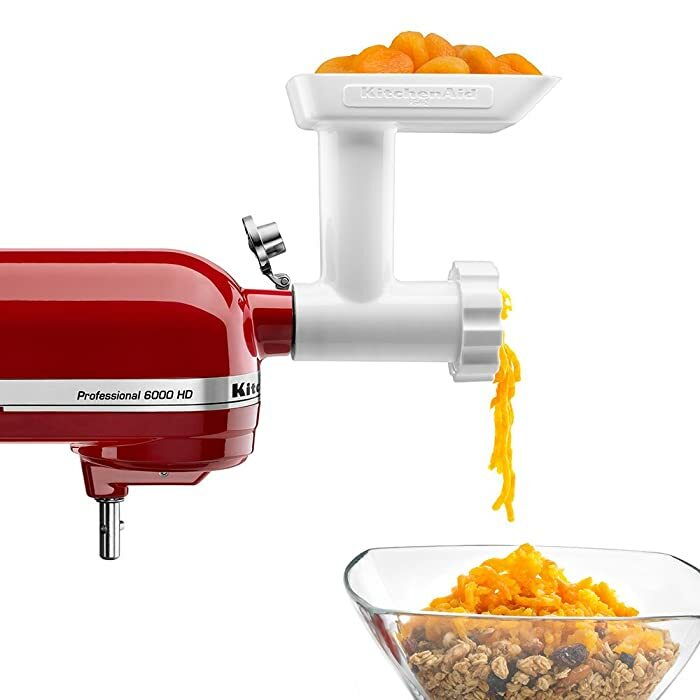 You can even use the bowl that came with the mixer when grinding meat and other ingredients. Consider the points listed below when deciding on which meat grinder to buy. By knowing which features are important to you, you will know which particular product to pick. 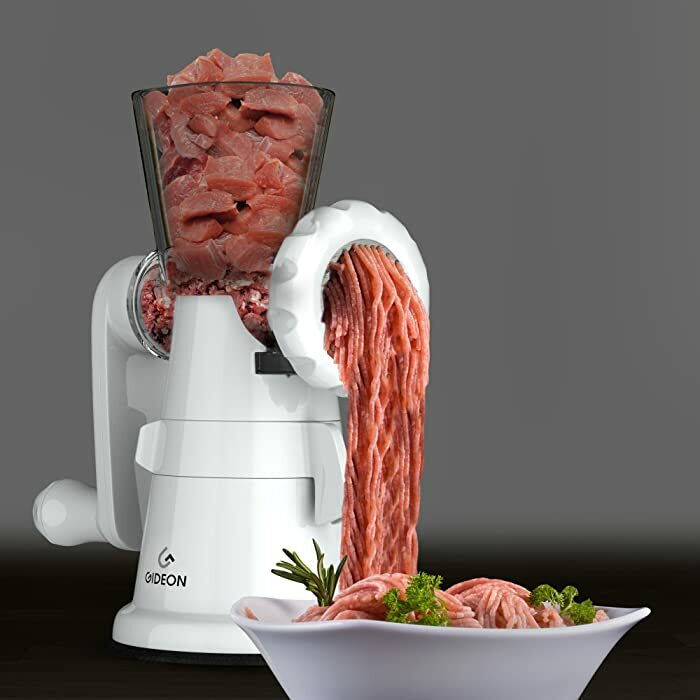 Quantity of Raw Meat - If you plan on grinding large quantities of meat, an electric meat grinder would be the most practical choice. This will save you time and energy, and investing in a good unit will be worth it. 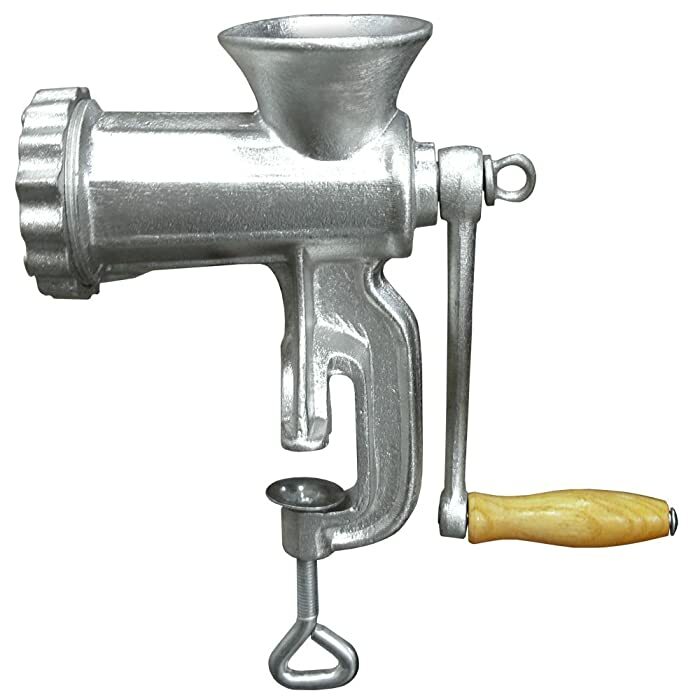 Frequency of Meat Processing - For occasional meat grinding to prepare burgers for a small family, a manual meat grinder will do. However, if you’re always grinding raw meat, the amount of time you put into this will be cut shorter if you have an electric grinder instead (since it’s more powerful – and faster). Your Budget - Of course, your budget plays an important part in the decision making process on which meat grinder to buy. If you have the very limited budget but want a unit that can handle small meat grinding jobs, a manual meat grinder will work for you. You can get a good one for about $20. If you plan on grinding large portions of meat frequently, it would be practical to just increase your budget a bit and just get an electric model. Electric meat grinders can cost anywhere from $50 to a couple hundred dollars. Keep in mind that more expensive models are usually more functional and more durable as well. In the end, investing in a high-quality unit will provide you with more satisfaction and savings. I have searched all over the net for the most reputable products when it comes to grinding meat. Below is a list that includes manual and electric meat grinder reviews. This manual meat grinder can handle small jobs at home, but it’s very slow and time-consuming. While it’s capable of grinding different types of ingredients, the parts should be cut in small pieces – otherwise, they will just get stuck. This electric meat grinder is an entry level model. It works better and faster than a manual type of grinder, but it’s not as efficient as more high-end models. Still, you can depend on it for grinding and mincing meat as well as stuffing sausages (video). This model can handle moderate home use (note that it’s not a commercial-grade kitchen appliance). You can tell by its price that it’s not a high-quality unit – careful use and handling is therefore needed. So, if you’re looking for the best electric meat grinder that can handle really tough jobs, I suggest looking further down the list. As a manual type of meat grinder, this model is simple to use and operate. If you’re specifically looking for a unit that’s not an electronic device, this could be one of your options. This electric grinder can handle light to moderate grinding jobs. It is suggested that bones and skins are removed from the meat before processing them in this device. 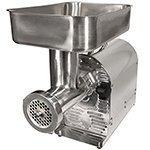 As a commercial-grade meat grinder, this model can grind meat and soft bones as well. If you plan on grinding raw meat to prepare food for your family and pets, you can consider buying this particular unit. If you’re into preparing your own food (and pet food), this model of electric meat grinder will work well for you. It can handle tough jobs at home and can even be used in small restaurants. Since it landed on the top #1 spot, it goes to show that I consider this to be the best electric meat grinder for home use (and small businesses too). 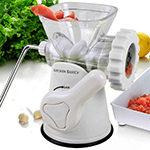 Having your own meat grinder will allow you to make homem﻿ade burgers (video), sausages, and pasta dishes, among others. Since you can also use this device to help you prepare different types of ingredients, it can also assist you in making soups, sauces and even baby food. 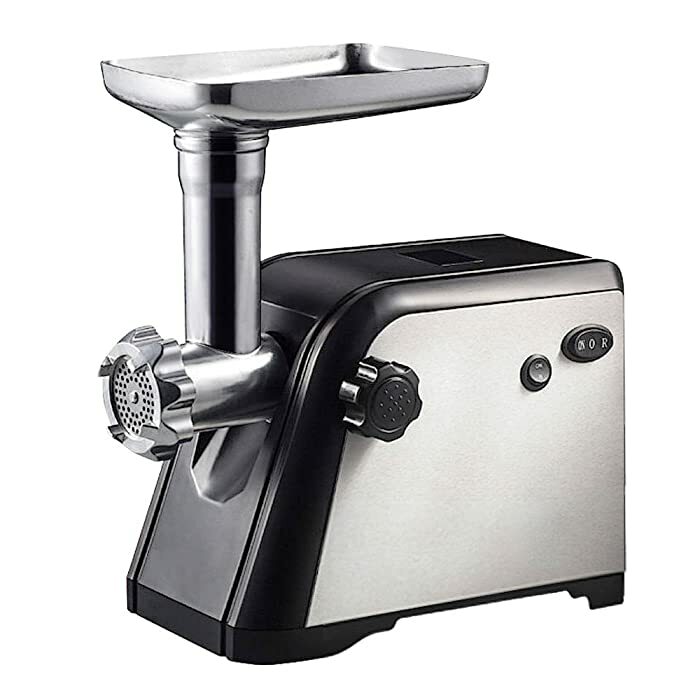 You have seen the key features of the top 5 meat grinders on the market today. I have also listed the pros and cons of each model to help you understand what you’re getting – in case you decide to buy a particular model. Since manual meat grinders are very slow compared to the electric types, I really don’t recommend them. It’s not practical to waste your time and energy in the kitchen when you really want to get things done right away, right? If you agree with me that it’s more practical to get an electric unit, I would recommend choosing between the Weston meat grinder and the STX model. Now, this will really depend on your budget as the Weston model is more expensive than the STX meat grinder – it’s a commercial-grade meat grinder, after all. Also, while the STX grinder is more affordable than the Weston, the quality of the Weston unit is definitely more impressive. 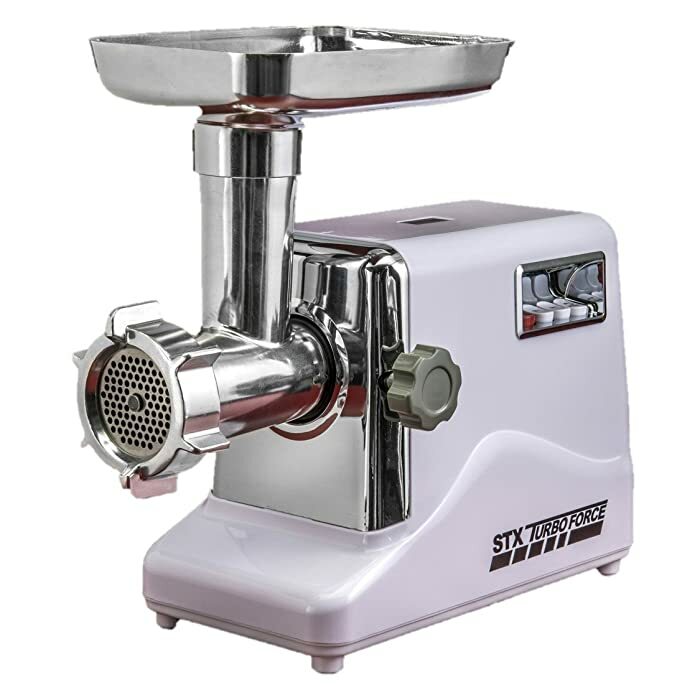 In short, I really think it’s worth the money – because it’s the best meat grinder for home use and professional use as well. Now, if you’re particularly looking for a manual meat grinder, there are 2 models included in the Top 5 list. If you’re decided on getting a manual type, I would suggest getting the Gideon meat grinder because its quality is way better than the Kitchen Basics model (hint: the Gideon meat grinder is the best manual meat grinder on the list). Just look at their pros and cons and keep in mind that they’re in the same price range. Hopefully, this post has helped you in deciding which meat grinder to buy – whether you want a manual or electric model. You can leave your comments below, too, if you have other suggestions.